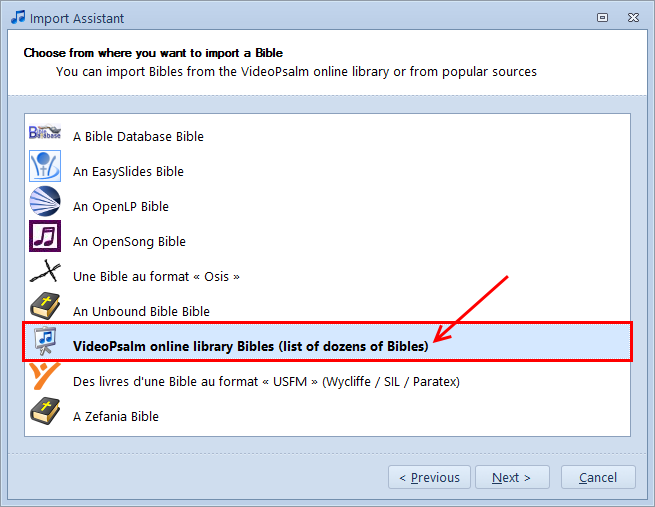 At first, there are no Bibles in your VideoPsalm. This opens the VideoPsalm Online Library. 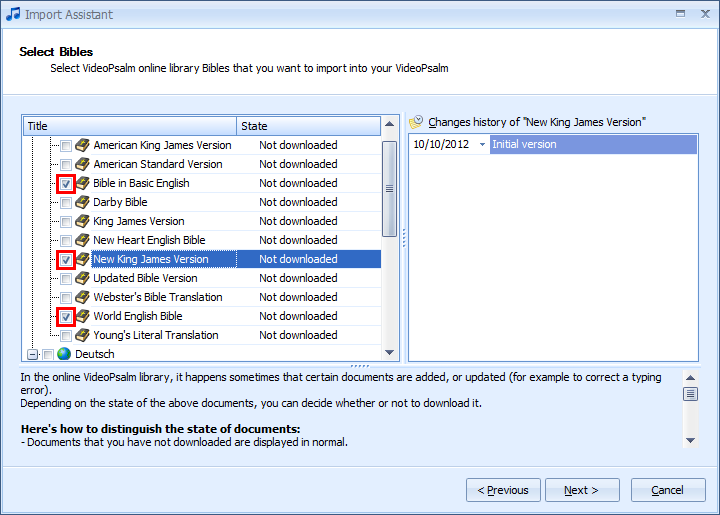 It lists all the Bibles made ready to import into your own VideoPsalm, via the internet. 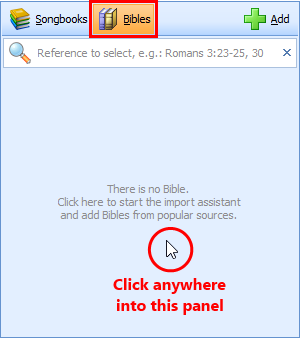 There are Bibles from several languages to choose from. 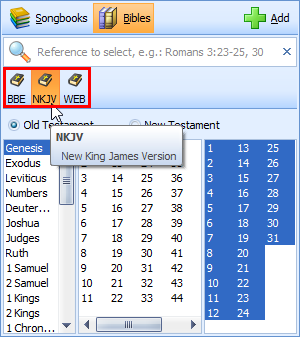 Do not select every Bible, because having too many Bibles will slow down VideoPsalm at start-up. 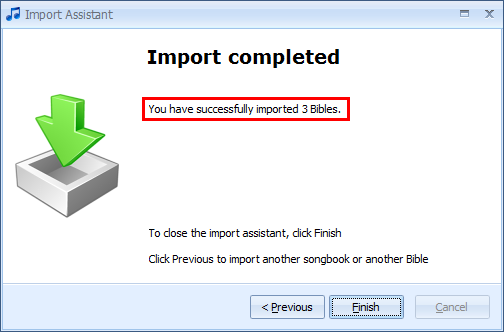 If you wish to import Bibles from another source, for example OpenSong, click the “Previous” button. If necessary, you can open the import assistant anytime. Contact us if you can't find the translation that you need.